Analysis: Sharpe may have aggravated the same ankle injury that's been bothering him for the past two months. He had one target and no receptions at the time of his exit midway through the second quarter. Darius Jennings and Cameron Batson are both candidates for more work if Sharpe doesn't return. Analysis: Sharpe has been plagued by an ankle injury for the better part of the past two months, and his contributions to the box score have suffered as a result. As evidence, he has just 10 catches (on 22 targets) for 94 yards and one touchdown over the last eight games. On a positive note, the visit to the end zone occurred during the Titans' first matchup of the campaign with the Colts in Week 11. Analysis: Sharpe has been playing through the ankle issue since early November, catching just 10 passes in eight games since a Week 8 bye. His own injury is far less of a concern than quarterback Marcus Mariota's elbow injury. Analysis: Sharpe will manage to take the field Saturday despite failing to practice in any capacity Tuesday through Thursday. 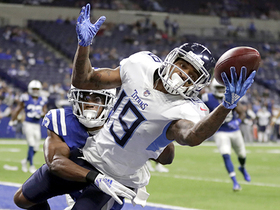 The second-year receiver has struggled to gain much traction since the Titans' Week 8 bye, recording 10 catches for 94 yards and a touchdown in the ensuing seven games. Sharpe (ankle) is listed as questionable for Saturday's game against the Redskins, Turron Davenport of ESPN.com reports. Analysis: Sharpe didn't practice in any fashion Tuesday through Thursday, casting doubt in his ability to gain clearance for Week 16. Even if he plays this weekend, Sharpe can't be deployed in lineups with much confidence after nabbing only 10 passes for 94 yards and a touchdown over the last seven games combined. Sharpe (ankle) wasn't spotted at Thursday's practice, Turron Davenport of ESPN.com reports. Sharpe (ankle) didn't participate in Wednesday's practice, Jim Wyatt of the Titans' official site reports. Analysis: Sharpe has yet to practice this week due to an ankle injury that he's been nursing since Week 10. While he's been able to play through it in the past, his participation -- or lack thereof -- at Thursday's practice will likely be enlightening regarding his status for Saturday's matchup with Washington. Even if he does take the field, Sharpe won't make for a reliable fantasy option after tallying only 94 yards across seven games since the team's Week 8 bye. Sharpe (ankle) was listed as a non-participant on Tuesday's injury report due to an ankle issue, Jim Wyatt of the Titans' official site reports. 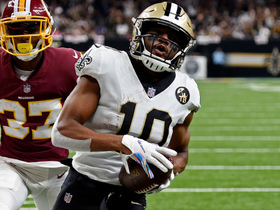 Analysis: Since the right ankle injury was first introduced during Week 10 prep, Sharpe has been able to play through it, logging between 69 and 92 percent of the offensive snaps the first four games before falling back to 33 and 56 percent in the last two outings. However, his production has been nearly non-existent during this stretch -- nine catches (on 21 targets) for 94 yards and one TD -- so it's difficult to rely on the third-year wideout with the injury still in tow. Sharpe (ankle) doesn't have a designation for Sunday's road game against the Giants, Turron Davenport of ESPN.com reports. 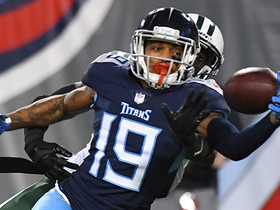 Analysis: Sharpe sandwiched limited showings around a DNP from Thursday's practice, but the cap in reps wasn't enough for the Titans to attach a designation to the third-year wideout. Thus, he's available to take on a Giants defense that has surrendered 8.5 YPT but just nine touchdowns to wide receivers in 13 games this season. Sharpe (ankle) didn't participate in Thursday's practice, Jim Wyatt of the Titans' official site reports. Sharpe (ankle) was limited at practice Wednesday, John Glennon of The Athletic reports. Analysis: Sharpe, who has been nursing an ankle issue of late, was restricted to 20 offensive snaps in the Titans' Week 14 win over the Jaguars. It's not surprising that the Titans are still limiting Sharpe's workload in the first practice of Week 15, but the wideout is still believed to be on track to play this weekend against the Giants. If Sharpe can't rally in time to suit up, added snaps would be available for Darius Jennings behind starting receivers Corey Davis and Taywan Taylor. Sharpe is questionable to return to Thursday's game against the Jaguars with an ankle injury, Jim Wyatt of the Titans' official site reports. Analysis: Sharpe had been dealing with an ankle injury leading into Thursday, so there is a good chance this issue is related. As long as Sharpe is out, expect Taywan Taylor and Darius Jennings to see increased roles in Tennessee's passing game. Sharpe (ankle) doesn't carry an injury designation into Thursday's game against the Jaguars. Analysis: Sharpe, who snagged three of his six targets for 51 yards in the Titans' Week 13 win over the Jets, is an option in deeper formats, but fellow receivers Corey Davis and Taywan Taylor carry more fantasy upside in Week 14. Sharpe (ankle) was a limited participant in Tuesday's practice, Jim Wyatt of the team's official site reports. Analysis: Sharpe began the week listed a limited participant and remained that way on Tuesday. Even with a short week, he appears to be trending toward playing Thursday against Jacksonville. Given the tough matchup, however, avoid relying on Sharpe in lineups, regardless of whether he makes his way onto the field. Sharpe (ankle) is listed as a limited participant on Monday's estimated practice report, Paul Kuharsky of 104.5 The Zone Nashville reports. Analysis: Bothered by this ankle last week, Sharpe ultimately caught three of six targets for 51 yards in Sunday's 26-22 win over the Jets. There doesn't seem to be any concern about his availability for Thursday's game against Jacksonville, but there also isn't much reason to think he can overcome the difficult matchup. Sharpe finished with zero yards in three of his past five games, despite getting the start and playing at least 38 snaps in each contest. Sharpe hauled in three of his six targets for 51 yards in Sunday's 26-22 win over the Jets. Analysis: Despite the return of Taywan Taylor, Sharpe recorded the second-highest target total among Titans receivers. However, he's seen inconsistent volume all season, posting a season high of seven receptions but also hauling in one or zero passes in six contests. With Taylor's return and the team's heavy usage of tight ends in the passing game, don't count on consistent production from Sharpe to close the season. Sharpe (ankle) practice fully Thursday, Turron Davenport of ESPN.com reports. Analysis: Sharpe was on the field for 69 percent of the Titans' snaps on offense in Week 12, but didn't draw any targets in this past Monday's 34-17 loss to the Texans. He therefore remains a hit-or-miss fantasy option, more so heading into Week 13, with Taywan Taylor (foot) poised to play Sunday against the Jets. Sharpe was limited at practice Wednesday due to an ankle issue, Turron Davenport of ESPN.com reports. Analysis: Despite being on the field for 69 percent of the Titans' offensive snaps in Monday's 34-17 loss to the Texans, Sharpe didn't draw any targets. The 23-year-old has been a decidedly hit-or-miss fantasy option this season and could see his prospects suffer further with Taywan Taylor (foot) on track to suit up Week 13 against the Jets. Sharpe didn't draw any targets in Monday's 34-17 loss to the Texans. Sharpe caught five of his seven targets for 37 yards and a touchdown in Sunday's 38-10 loss to the Colts. 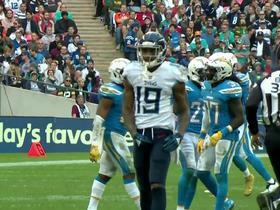 Analysis: Sharpe was the Titans' most targeted wide receiver in Sunday's action and managed the team's only touchdown. The score did come on the team's final offensive possession of the game -- well after the outcome of the game was decided -- tempering the positives of his performance. Much like the entire Titans offense, Sharpe is highly volatile from week to week, though he has seemingly surpassed Taywan Taylor (foot) for the No. 2 receiver job. Sharpe (ankle) is active for Sunday's game against the Colts. Sharpe is listed as questionable for Sunday's game against the Colts after being limited at Friday's practice due to an ankle issue. Analysis: Given that Sharpe is a late-week addition to the report, his status for Sunday's 1 p.m. EST kickoff is uncertain. Meanwhile, fellow receiver Taywan Taylor (foot) is also listed as questionable after not practicing this week. As a result, the Titans' top healthy options at wideout behind Corey Davis are currently Cameron Batson and Darius Jennings. Sharpe caught none of his three targets in Sunday's 34-10 win over the Patriots. Analysis: Sharpe battled an ankle injury all week, which likely negatively affected his performance Sunday. More positively, he was seen without a brace or tape prior to the game, so his status moving forward doesn't appear to be in jeopardy. However, even if he is able to take the field, Corey Davis remains the only wideout to see consistent targets among the Titans' receiving corps. That leaves Sharpe as an inconsistent option from game to game. Sharpe (ankle) is active for Sunday's game against the Patriots, John Glennon of The Athletic reports. Sharpe (ankle) is listed as questionable for Sunday's game versus the Patriots, Turron Davenport of ESPN.com reports. Analysis: Sharpe sandwiched limited sessions around an absence from Thursday's practice, likely in an effort to reduce stress on his right ankle. He intimated as much Friday, saying he intends to suit up Sunday but would like some of the swelling around his ankle to subside, per Davenport. The final call on Sharpe's availability for Week 10 may not emerge until the Titans release their inactive list about 90 minutes before Sunday's 1:00 PM ET kickoff. Sharpe (ankle) took part in practice Friday, Turron Davenport of ESPN.com reports. Sharpe (ankle) did not practice Thursday. Analysis: Though Sharpe logged 54 of a possible 70 snaps on offense in Monday's win over the Cowboys, he failed to haul in his only target in the game. That dud followed his seven-catch, 101-yard effort in Week 7, which now looks like more of an outlier than a breakout. That said, if Sharpe -- who was limited at practice Wednesday -- rallies in time to play Sunday against the Patriots, he could pick up some extra targets in Week 10 if Taywan Taylor (foot) is sidelined this weekend. Sharpe (ankle) was a limited practice participant Wednesday, Turron Davenport of ESPN.com reports. Sharpe caught his only target of the game for zero yards in Monday's 28-14 win over the Cowboys. Analysis: The last time Sharpe took the field, he recorded his first-career 100-yard game. However, he failed to follow that up in a meaningful way, turning in his second game this season with zero yards. Besides Corey Davis, no Titans pass catcher has been able to emerge on a consistent basis this season due to the team's lack of passing volume. However, Taywan Taylor suffered an apparent foot injury, which may give Sharpe another opportunity to regain targets Week 10 against the Patriots. Sharpe hauled in seven of his nine targets for 101 yards in Sunday's 20-19 loss to the Chargers. Sharpe caught both of his targets for a total of 33 yards in Sunday's 21-0 loss to the Ravens. Sharpe hauled in three of his four targets for 30 yards in Sunday's 13-12 loss to Buffalo. Analysis: Sharpe has played efficiently in the absence of Rishard Matthews, turning five of his last seven targets into catches across his last two games. His effort Sunday was no different, though he did get a season-high four targets. That lack of volume limits his value, and until the Titans' offense is more aggressive, he is a marginal option at best. Sharpe hauled in two of his three targets for 27 yards and a touchdown Week 4 against the Eagles. Analysis: Sharpe wasn't targeted heavily -- Corey Davis, Dion Lewis and Taywan Taylor all received more -- but still managed to haul in a go-ahead touchdown for the Titans in the fourth quarter. 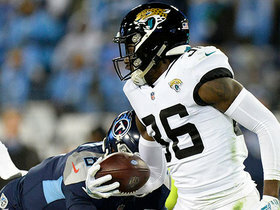 He got a boost in role when Rishard Matthews and the team parted ways, leaving Sharpe as the third receiver on the team. 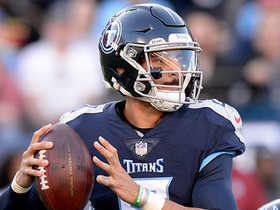 However, the Titans have lacked passing volume through four weeks, meaning his performance will be volatile from week-to-week. 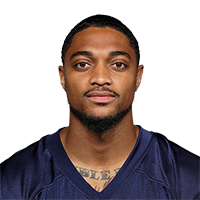 Sharpe is expected to see increased snaps in the Titans' three-receiver sets Week 4 against the Eagles following the release Thursday of wideout Rishard Matthews, Jim Wyatt of the Titans' official site reports. Sharpe wasn't able to haul in his lone target but did rush for 16 yards on one attempt Week 3 against Jacksonville. Analysis: Sharpe had a surprising role Week 1, but has seen that diminish in the two games since. Taywan Taylor -- who led the Titans in targets against Jacksonville -- appears to have moved ahead of Sharpe, and there isn't enough volume in Tennessee's passing attack to sustain several receivers. Sharpe hauled in one of his two targets for 14 yards in Week 2 against the Texans. Analysis: After posting 58 snaps on offense Week 1, Sharpe's snaps fell to 28 in Week 2. 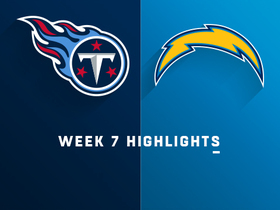 That was due at least in part to allow Taywan Taylor onto the field, though the Titans also employed a conservative offense with backup quarterback Blaine Gabbert leading the team. The pecking order at receiver behind Corey Davis remains murky, so even after Marcus Mariota returns, it will be difficult to trust that Sharpe will see a high-volume of targets. Sharpe was targeted three times in Week 1 against Miami, managing one reception for 17 yards. Sharpe, who missed all of the 2017 season due to a stress fracture in his right foot, has recovered from the injury and is now up to the 200-pound range, Jim Wyatt of the Titans' official site reports. Sharpe looked good at Monday's practice, getting plenty of first-team work in the absence of Rishard Matthew (undisclosed), Erik Bacharach of The Nashville Tennessean reports. Titans general manager Jon Robinson mentioned Sharpe when discussing the team's options at wideout for the upcoming season Wednesday, Jim Wyatt of the Titans' official site reports. Sharpe (foot) has recovered from surgery and "will be good to go" for offseason workouts, Jim Wyatt of the Titans' official site reports. Jacksonville Jaguars safety Ronnie Harrison intercepts a pass from Tennessee Titans quarterback Marcus Mariota. Tennessee Titans quarterback Marcus Mariota finds his wide receiver Tajae Sharpe on the move for 28 yards. Tennessee Titans quarterback Marcus Mariota lobs a pass to his wide receiver Tajae Sharpe for 20 yards. 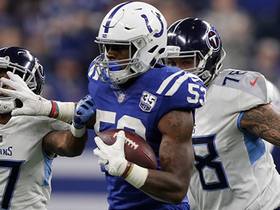 Tennessee Titans quarterbacks Blaine Gabbert pass gets intercepted by Indianapolis Colts linebacker Darius Leonard. Tennessee Titans wide receiver Tajae Sharpe leaps for third-down catch in traffic. 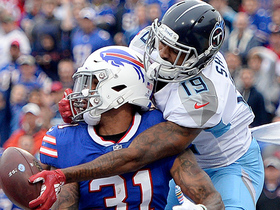 Tennessee Titans Marcus Mariota escapes the Bills linemen, but throws an incomplete pass in the end zone.